The hardest part of the recipe is getting the beets cooked, so a quick cheat on this is to go to a store like Trader Joe’s and buy their packaged, pre-cooked red beet (can be found in their refrigerated section near their cut vegetables). Or, you can take the longer route if you have the time! Enjoy this recipe, my loves. And enjoy the health benefits, while treating your stomach to deliciousness! Bring a large pot to a boil over high heat. Add a teaspoon of Kosher salt once it is boiling. Add the whole beets and boil on medium-high heat for about 30 minutes, until fork tender (not mushy!). Tender, yet firm is the perfect consistency for these cooked beets. Meanwhile, fill a large bowl with ice and water; set aside. When the beets are cooked, drain them and, while still hot, slip off their skins (if you are afraid of staining your hands, wear disposable gloves during this step!). Place peeled beets in the ice water bath for 10 minutes. Drain and dry the beets. Chop the peeled and cooked beets into small, bite-sized cubes. Add the yogurt, garlic, lemon juice, and a pinch Kosher salt and pepper. Can be kept in the refrigerator for one day. Who said that we can’t get fancy in our own kitchens? I certainly think that it is a lot of fun to dress up a meal by simply enhancing the presentation. After all, if the eye likes what it sees, then it is more appetizing, and in turn, tastes better to us too! One of my favorite seasons is heirloom tomato season, and right now, Trader Joe’s has these beautiful mini heirloom tomatoes that are perfect in every way. The blend of colors of these different-colored tomatoes creates such a beautiful salad that is anything other than one-note. 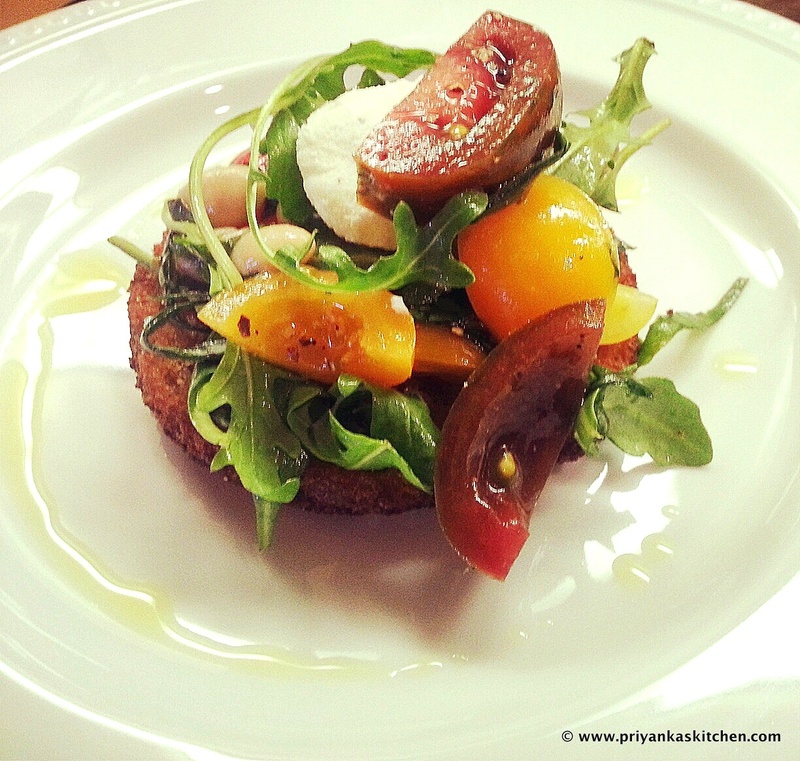 The pepperiness of the arugula paired with the earthy cannellini against the sweetness of the tomatoes is delicious. And the crispy toast topped with the tangy, yet creamy goat cheese seals this dish as the perfect start to any meal, fancy or informal! The flash fried bread (feel free to oven toast for a healthier version!) adds the perfect amount of crispiness and smokiness that I think lends beautifully to this dish. Variation: Add thinly sliced red onion to the salad mixture for an extra crunch! Cut out circles out of the slices of your bread using one of the following: a metal ring mold, the open end of a glass jar (the kind tomato sauces come in at the grocery store), or even an empty metal can (from the cannelloni beans!). Heat olive oil in a small pan and when the oil is hot, flash fry the circles of bread for about 5 seconds on each side until golden brown. Drain and set aside on a napkin-topped plate to allow it to crisp. Combine all of the topping ingredients EXCEPT the goat cheese, and toss well to coat. 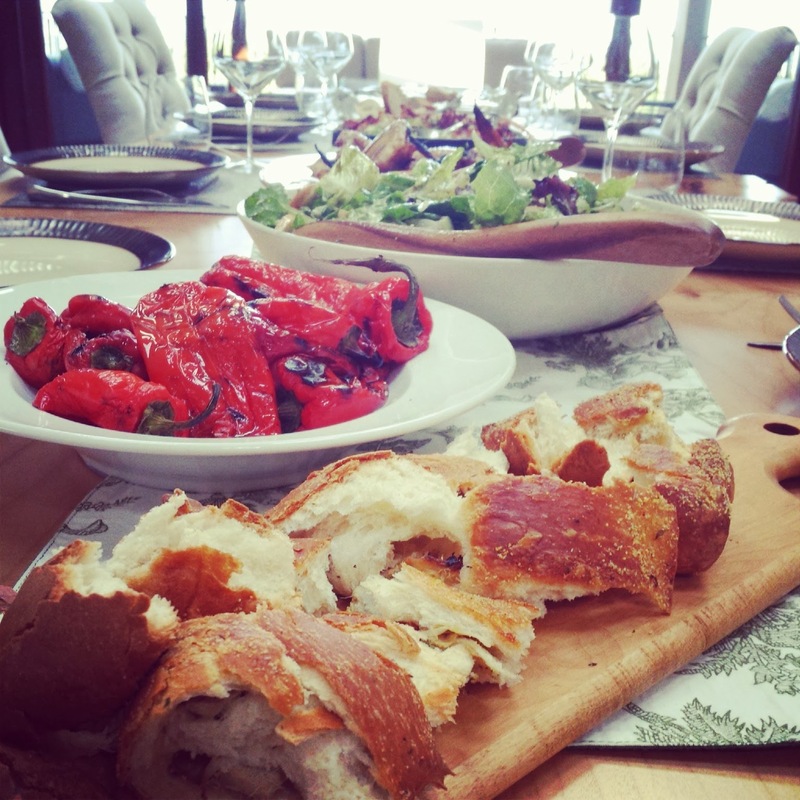 Cooking is about details, and to me, details mean side dishes. We often overlook side dishes to our glorious, attention-grabbing main dishes and entrees. However, a corned beef sandwich sometimes really needs a fried pickle next to it or a little bowl of creamy cole slaw! This side dish is not only easy to make and beautiful to look at, but it’s tasty and family friendly too! 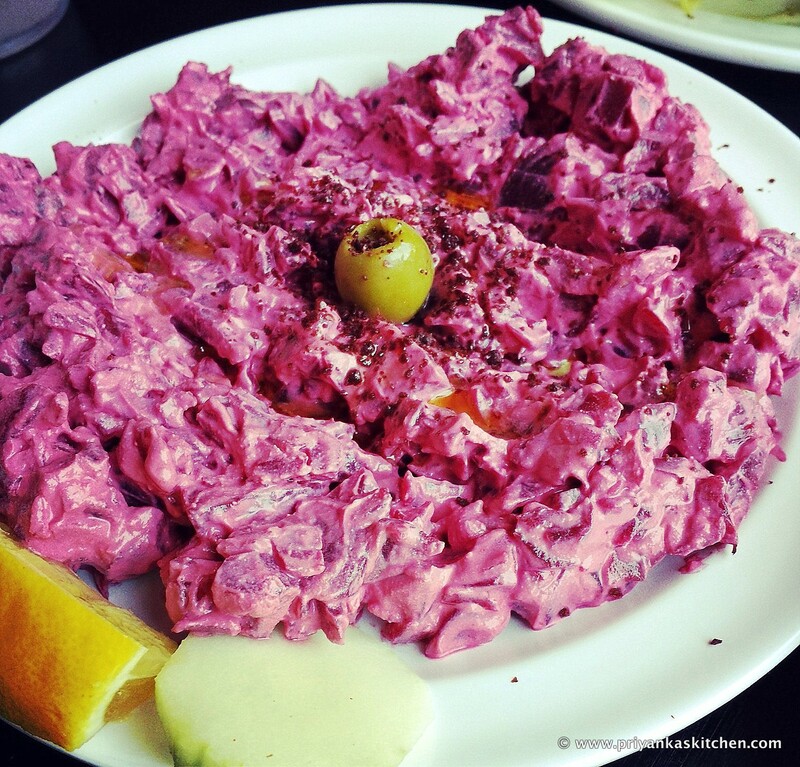 The tanginess of the vinegar mixed with the creaminess of the sour cream and mayonnaise is blissful. A good cole slaw can be used in so many ways – in a sandwich, mixed into cold leftover pasta for a pasta salad, as a a filling in grilled or fried fish tacos, and so much more. 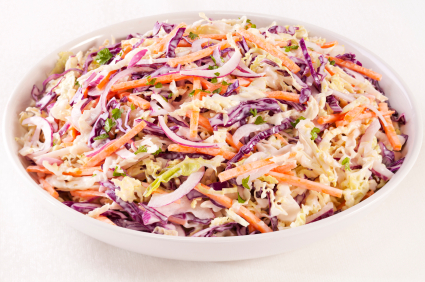 Would love to hear your favorite ways to serve cole slaw! PS – Thanksgiving is around the corner. Here is another great idea to add to your spread! Whisk together the mayonnaise, sour cream, onion, sugar, vinegar, mustard, salt, and pepper in a medium bowl. 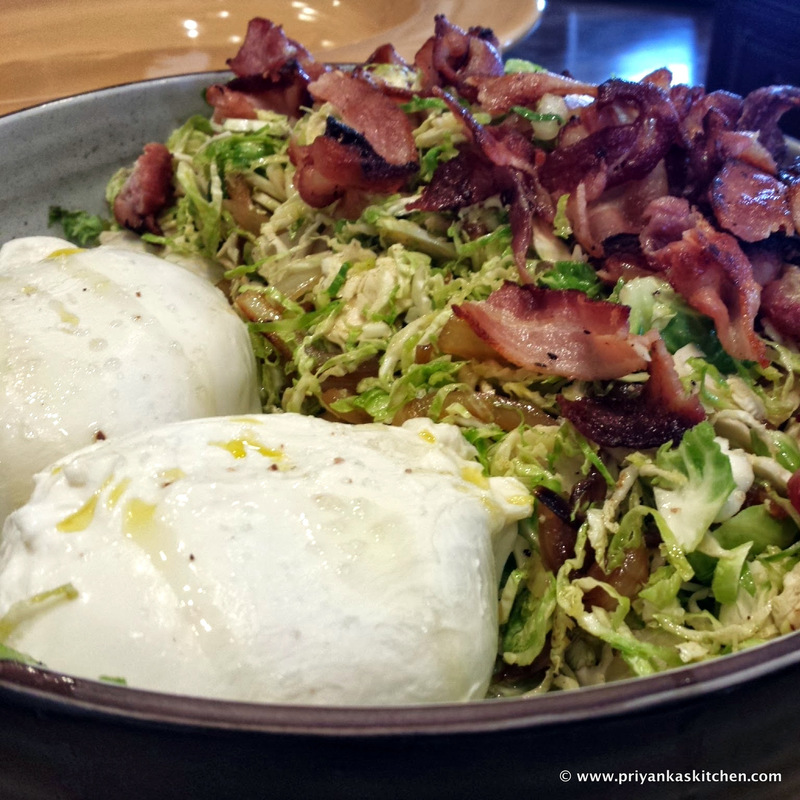 Mix both types of shredded cabbage in a large mixing bowl. Add your dressing to the cabbage mix and combine well. Taste for seasoning, and adjust salt, pepper, and/or sugar seasoning to your desired taste. Chill in the refrigerator and enjoy! Can be made up to 1 day ahead. Happy Sunday night! What better way to start the week than with a healthy, make-ahead lunch idea! Fresh, easy, simple, and easy on your waist line! 🙂 If you enjoy meat, feel free to add rotisserie chicken for a more filling meal! Enjoy! In a medium bowl, combine all of the ingredients and serve! Can be made ahead and refrigerated for up to 2 days. This is a ridiculously easy, no-cook recipe (the ingredients I use are already cooked) that is crispy, fresh, sweet, savory, salty, and anything but boring! This is a great dish to take to a potluck (everyone will be so impressed with you – the beautiful colors of this salad jump out and the presentation with individual wedges is unique and appealing to the eye!). And, regardless of what people might say, yummy-looking food is always more appetizing. It’s true that other kinds of greens (think: arugula, spinach, chard, etc.) are more nutrition-rich than iceberg lettuce. However, the crunch and crispiness of the iceberg cannot be replicated any other way. 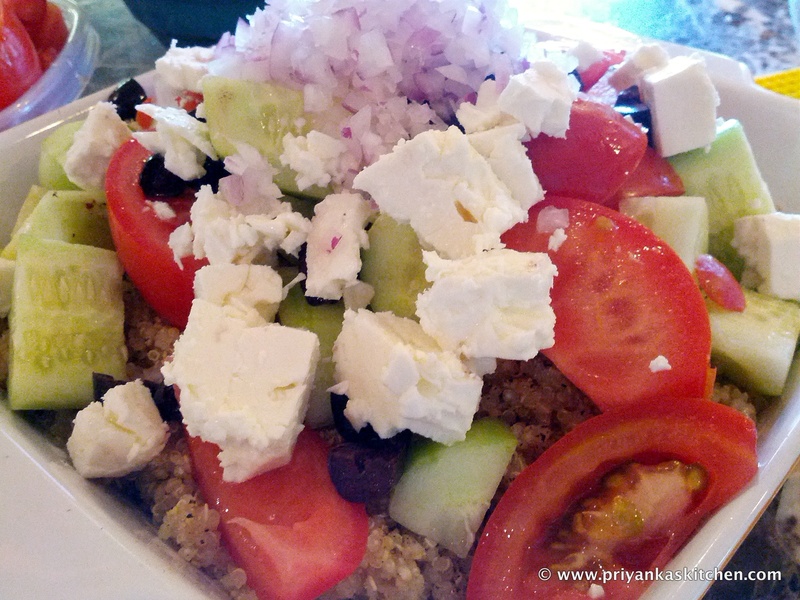 I LOVE this salad, and my friends have enjoyed it with me. I hope you share this with your loved ones and become your next party’s superstar chef with little effort! Wash and dry the heads of lettuce. Remove the outer layer of lettuce. Split each head in half through the ‘root’. Then cut each half into three wedges. Each head of lettuce will yield 6 wedges. Skewer the shrimp and avocado, alternating if desired for better presentation, and spike each wedge with your loaded toothpick. 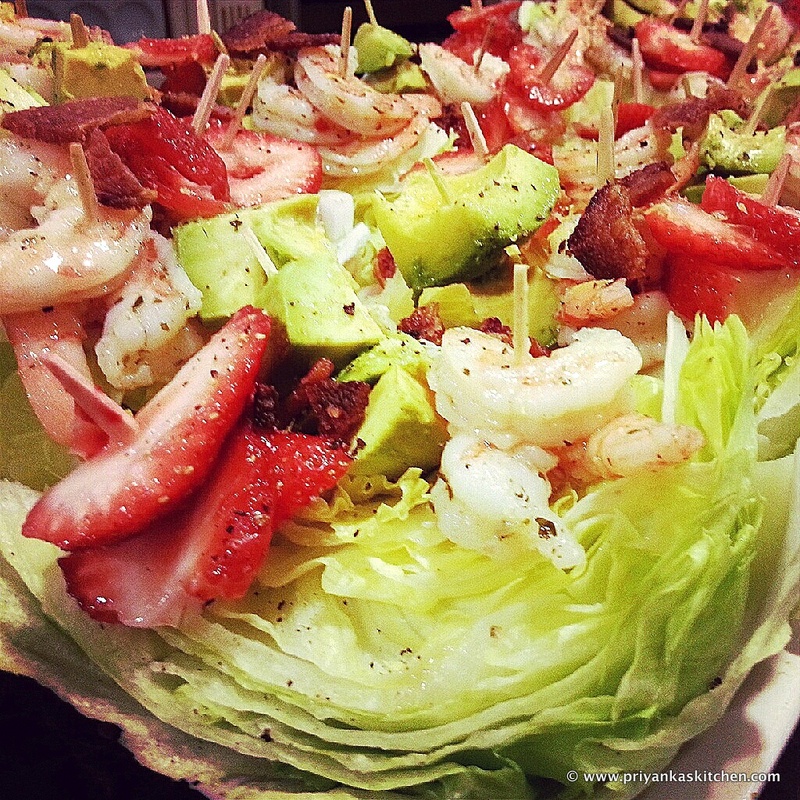 Top each wedge with the bacon, red onion, strawberry slices. Sprinkle the salt, pepper, lemon juice, and lemon zest evenly over all 12 wedges. It’s been a few years since I was first introduced to this delicious, colorful, and healthy salad. I was invited to an outdoor play a little north of Berkeley, California (CalShakes, for you locals! ), and they allow you to bring your own picnic dinner. 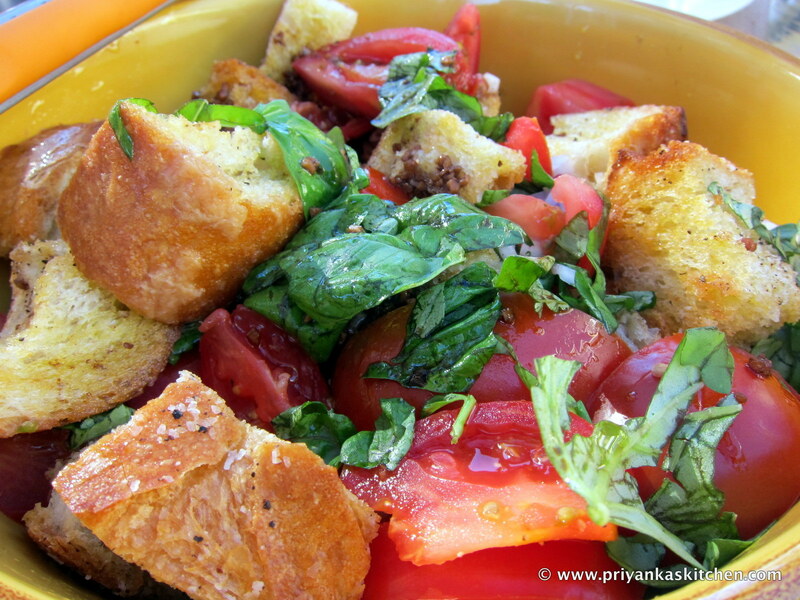 My friend’s contribution was a panzanella salad and it was so good (Thanks E!)! Flash forward a few years and here I am sitting in a phase of my life where I am pretty obsessed with tomatoes (all kinds: heirloom, cherry, beefsteak, early girl, etc.). And then I ended up with half a baguette of a few-days-old bread and didn’t know what to do with it. That was when my love for this salad was truly reborn. Sometimes the best things are life are the simplest ones. A note on this recipe: try to use high-quality extra virgin olive oil & balsamic vinegar – it really makes a huge difference since olive oil can have odd bitter after tastes and balsamics can have a strong acidity that can overpower this entire dish! In a large mixing bowl, add the cubed bread, olive oil, salt, pepper and garlic. Using your hands, mix the ingredients well so that the bread is well-coated evenly. Pour bread cubes onto a parchment paper or aluminum foil-lined baking sheet and bake on the center rack of the oven for approximately 15 minutes (or until cubes are browned). Take the sheet out halfway during this period, and using tongs, carefully toss the bread cubes once for even roasting. Once roasting is complete, cool the bread cubes. Meanwhile, on a separate bowl, whisk the olive oil, balsamic vinegar and salt and pepper to your taste. 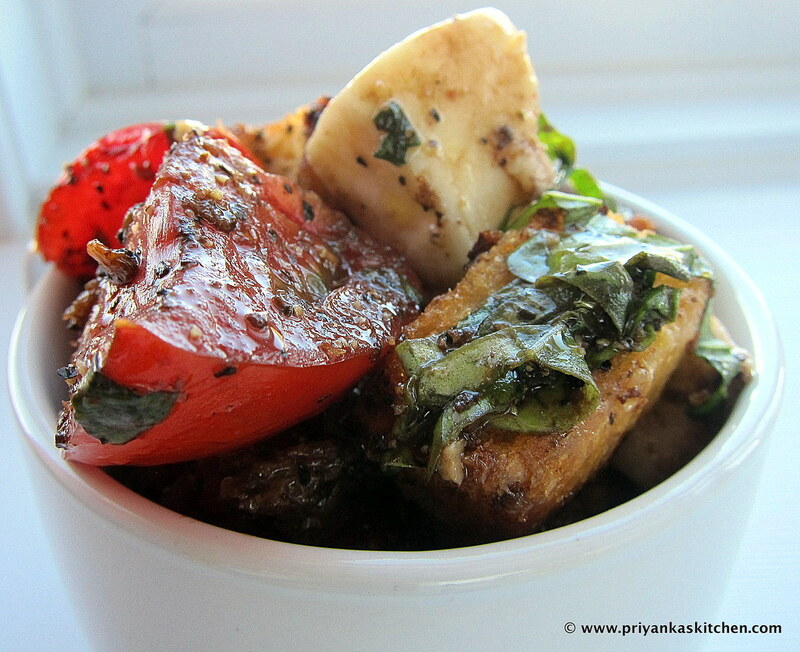 (Remember to always taste test your marinade before adding to the serving bowl with bread!). This step can be made ahead and be stored at room temperature for 2 days. In the bowl you will serve this dish in, add the cooled bread cubes, quartered tomatoes, cubed mozzarella, red onion, and basil. Add the marinade 20 minutes before you want to serve it, and toss to combine.